Rhode Island Red Food Tours, Newport, R.I.
Venture off the path with Rhode Island Red Food Tours for culinary delights in Newport, Rhode Island. 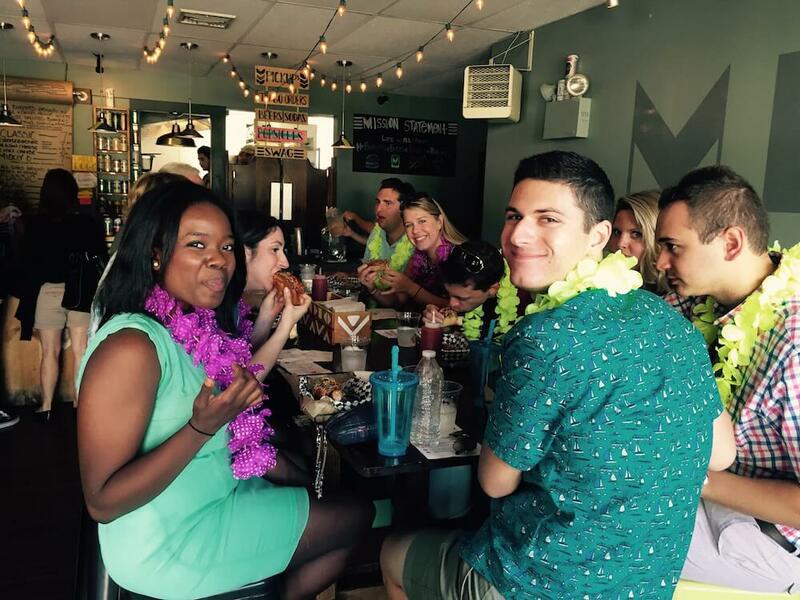 A tour with Rhode Island Red Food Tours includes stops for food or drinks at six restaurants and eateries, enough for a full lunch. While food is the highlight, visitors will get to see architecture and learn about the state’s history and culture. “They (groups) are most surprised to learn the significant role Rhode Island, the smallest state in the country, played in our American history; the profound beauty here in our early architecture and coastal waterways; and how it all manifests itself in both our culture and its people,” Silva said. The three tour options currently available are the Newport neighborhoods, Providence and a private group tour. Tours stop at historic taverns, bakeries, hip food street joints and fine dining restaurants. The walking tours last for 3½ hours and cover about 2 miles. Groups walk through urban neighborhoods that are off-the-beaten path. Silva said participants see art installations and hear stories. The company accepts bookings one year in advance. It is recommended that groups of 10 or more purchase tickets as soon as possible. Private tours are available, but should be booked at least two weeks in advance. Check with the Discover Newport Visitor Center for motorcoach parking information. For more information on Rhode Island Red Food Tours call 866-736-6343 or visit rhodeislandredfoodtours.com.